In high school plays, I was remembered for my roles as a man and an animal. Dressing like a boy kept me from being mistaken for a prostitute or a ghost. 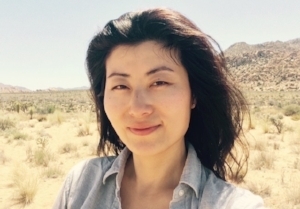 Diana Keren Lee's work has appeared in No Tokens, Painted Bride Quarterly, and TINGE, and she has received fellowships from NYU and The MacDowell Colony. She has lived in Austin, New York, and Los Angeles.